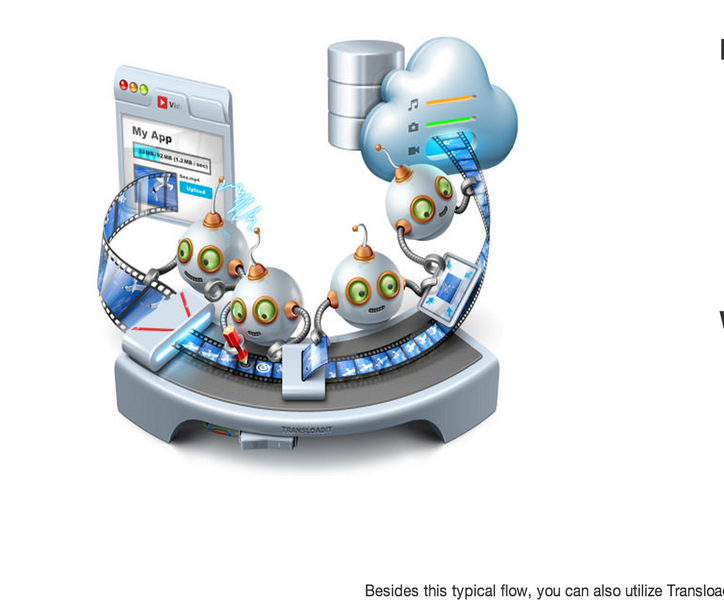 Transloadit handles file uploading &amp; file processing for your website or app. We can process video, audio, images and documents. Would you like to save time and money and avoid the headaches of dealing with progress bars, encoding tools and scaling machines?